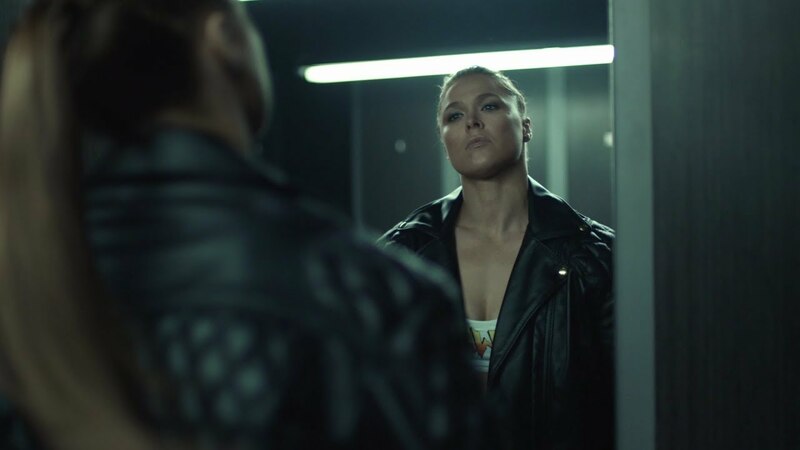 Advertising agency barrettSF has created a multimedia marketing campaign starring WWE Superstar “Rowdy” Ronda Rousey to launch the latest installment in the WWE 2K video game franchise. WWE 2K19 releases October 9 for the PlayStation4 computer entertainment system and the Xbox One family of devices, including the Xbox One X and Windows PC. Consumers who pre-order the game at participating retailers will receive Early Access to a playable Rousey character and additional in-game bonuses beginning October 5. The voiceover was taken from a 2015 Piper’s Pit podcast conducted shortly before Piper’s untimely death later that year. In the audio clip, Piper explains to Rousey why he was passing the torch of the “Rowdy” name to her. The jacket was given to Rousey by the Piper family prior to her WWE debut earlier this year, and they continue supporting her as she embarks on her new career. “Roddy saw the potential in Ronda and knew she would continue to inspire! Her grit and determination shine in the WWE 2K19 trailer,” said Kitty Toombs, widow of the late WWE Hall of Famer. The ad broke on WWE’s Monday Night Raw telecast earlier this week and will air nationally on WWE programming, along with social platforms such as Facebook, Instagram and Twitter. The ad will also run as pre-roll video on WWE and through placements on Google’s True View ad platform. A second WWE 2K19 ad, which debuted in June, starred former WWE Champion Rey Mysterio. Both spots are pieces of the global “Never Say Never” marketing campaign for the video game, with final elements currently scheduled to launch this Fall. barrettSF began its relationship with 2K for the launch of WWE 2K15 in 2014, making this their fifth year of campaign partnership.